Born in 1987 in Batumi (Georgia) French-Georgian pianist Khatia Buniatishvili gave her first concert with Tbilisi Chamber Orchestra when she was six. Following her belief that humanity is at the centre of all art, Buniatishvili is involved in numerous social rights projects such as the DLDwomen13 Conference (2013) in Munich, “To Russia with Love” (2013) a concert in Berlin to speak out against the violation of human rights in Russia, “Charity Concert in Kiev” (2015) for wounded persons in the Anti-Terrorist Operation Zone, the United Nations Climate Change Conference - Marrakech Climate Show, and the United Nation’s 70th Anniversary Humanitarian Concert (2015) in Geneva to benefit Syrian refugees. She is an ambassador of Plan International, a UK-based organization for children’s rights and equality for girls, and the Paris-based “Fondation Cœur et Recherche” for cardiovascular research. An exclusive Sony classical artist, her discography includes Franz Liszt (2011), Chopin (2012), Motherland (2014), and Kaleidoscope (2016), as well as piano trios with Gidon Kremer and Giedrė Dirvanauskaitė (2011) and violin sonatas (2014) with violinist Renaud Capuçon. She also collaborated with rock group Coldplay on their album “A Head Full of Dreams”. 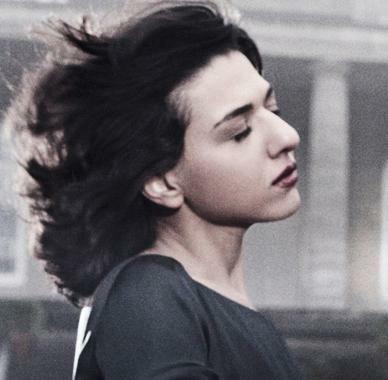 Buniatishvili’s most recent recordings unite her with two close musical partners, Zubin Mehta and the Israel Philharmonic in concertos by Beethoven and Liszt (2016) and Paavo Järvi and the Czech Philharmonic in Rachmaninov Piano Concertos nos. 2 and 3 (2017).